Bridges are so much more than simply connecting point A to point B. They captivate and enthrall us and some even seem to defy the laws of physics, but for author and librarian, Katharine Branning bridges are also conduits of ideas and values. 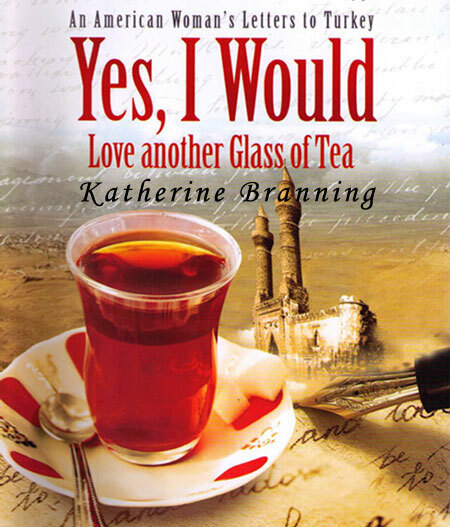 For over 30 years Branning, author of the new book An American Woman’s Letters to Turkey: Yes, I Would Love Another Glass of Tea, has travelled annually to Turkey. Her trips have allowed her to better understand her own Christian spirituality, and values of beauty, art and nature. Intrigued by Lady Montagu who also travelled to Turkey, and who wrote the Embassy Letters of Lady Montaguduring the eighteenth century Turkish Ottoman Empire, Branning decided to enter into an imaginary correspondence chronicling her own experiences. Originally started as a letter, Yes, I Would Love Another Glass of Teaevolved into a book. Not a guidebook, not a travel guide and not a sociological study of Turkey, the book chronicles personal experiences about everyday life. Katharine Branning, MLS, is Vice-President of the French Institute Alliance Francaise in New York City, where she serves as the Director of FIAF’s Library. In recognition of her work involved in the creation of over 8 libraries in both France and the United States, in 2006 she was awarded the Ordre National du Mérite by the President of France, one of the nation's highest honors. Ms. Branning is a graduate of the Ecole du Louvre in Paris, where she majored in Islamic arts, with a specialty in Islamic glass. Yes, I Would Love Another Glass of Tea is available on www.amazon.com, www.barnesandnoble.com and through Blue Dome Press.